What Information Have the Engines Provided About the Canonical URL Tag? 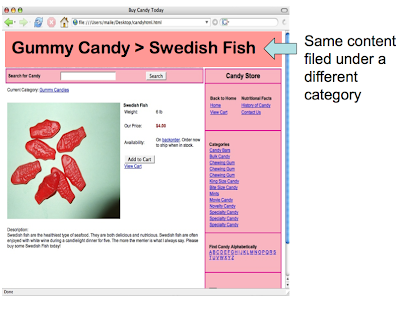 Google will understand that the duplicates all refer to the canonical URL: http://www.example.com/product.php?item=swedish-fish. The URL paths in the <link> tag can be absolute or relative, though we recommend using absolute paths to avoid any chance of errors. A <link> tag can only point to a canonical URL form within the same domain and not across domains. For example, a tag on http://test.example.com can point to a URL on http://www.example.com but not on http://yahoo.com or any other domain. The <link> tag will be treated similarly to a 301 redirect, in terms of transferring link references and other effects to the canonical form of the page. We will use the tag information as provided, but we’ll also use algorithmic mechanisms to avoid situations where we think the tag was not used as intended. 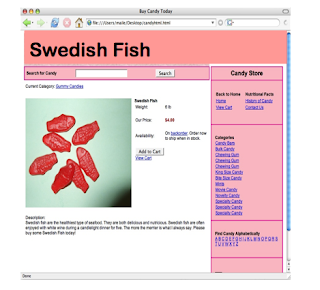 For example, if the canonical form is non-existent, returns an error or a 404, or if the content on the source and target was substantially distinct and unique, the canonical link may be considered erroneous and deferred. The tag is transitive. That is, if URL A marks B as canonical, and B marks C as canonical, we’ll treat C as canonical for both A and B, though we will break infinite chains and other issues. You can use relative or absolute URLs in the href attribute of the link tag. The page and the URL in the href attribute must be on the same domain. For example, if the page is found on http://mysite.com/default.aspx and the href attribute in the link tag points to http://mysite2.com the tag will be invalid and ignored. However, the href attribute can point to a different subdomain. For example, if the page is found on http://mysite.com/default.aspx and the href attribute in the link tag points to http://www.mysite.com the tag will be considered valid.